The iPhone is a great filming tool. Apple’s Camera app is reliable and very easy to use, and you can shoot with Filmic Pro or Mavis if you need more manual control. But it’s not so great for serious editing. 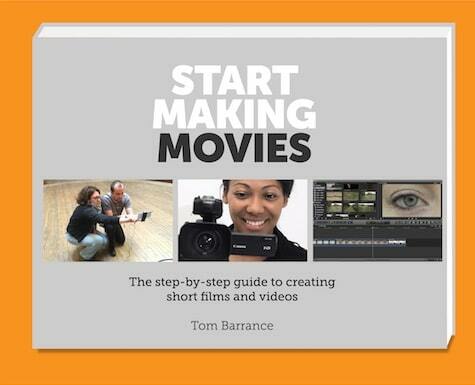 iMovie is easy but limited: it’s designed for home videos, not serious filmmaking or mobile journalism. Pinnacle Pro is better, but Final Cut Pro is so fast and powerful that I’ve always edited my own iPhone movies on a Mac. Until now. I’ve just been testing LumaFusion, a remarkable iPhone/iPad editing app from the team behind Pinnacle Pro. It’s by far the most powerful editing app I’ve seen for mobile devices. For the first time, you have the tools and options to produce genuinely professional-looking (and broadcast-friendly) videos on iPhone or iPad without needing to move your footage to a computer. 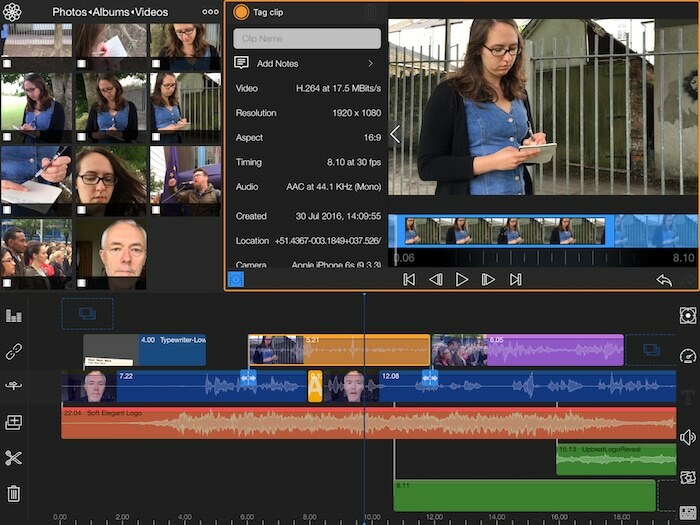 Like Final Cut, LumaFusion takes time to learn but it’s really fast once you get used to it. then switch to a full-screen viewer to preview your movie. LumaFusion offers all the standard frame rates from 24 to 60fps (not just iMovie’s 30fps, which isn’t suitable for European broadcast) and you can choose between nine different aspect ratios, including portrait and Filmic Pro’s ultra-widescreen options. You can set your own defaults rather than having to change the settings each time. 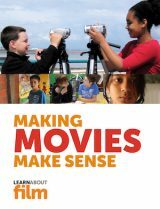 Up to three video tracks and three additional audio tracks, so you could have a main storyline, a cutaway, and a title, plus live sound, music and effects. 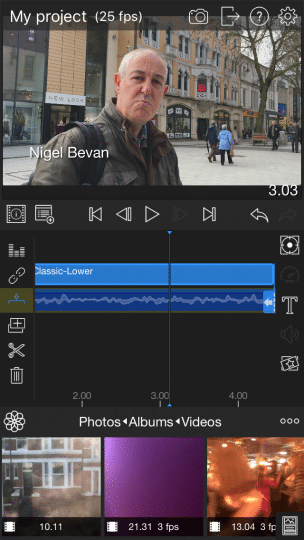 You can annotate and colour-code your clips to help with organisation and selection, and the app shows which clips you’ve already used in your project. There are plenty of effects – including some simple but useful colour correction presets – and title options. There are lots of transitions as well, including an extremely useful ‘Video Cut – Audio Crossfade’ which is great for keeping your soundtrack smooth. You can toggle individual effects on and off, and change the order of effects. 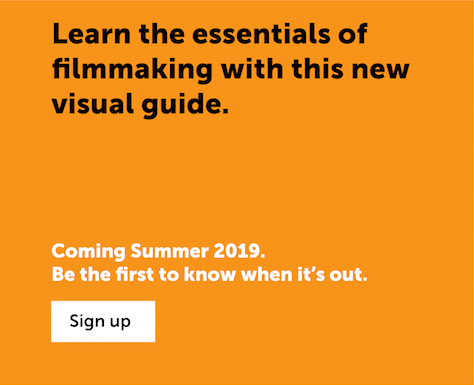 Keyframing is a way of precisely controlling things: you set the parameters of a clip at a specific point in the timeline, then add another keyframe at a different point and change the parameters. With LumaFusion, you can use keyframes for audio levels, effects, titles, clip opacity, size and shape. So you can easily ‘duck’ background music behind voices, and you have much more control over motion than Apple’s ‘Ken Burns Effect’. You can change volume (and apply audio keyframes) on individual clips. There’s also a neat combined level meter and mixer for the timeline, which lets you set levels for specific tracks and for the whole film. You can also mute individual tracks. I’m seriously impressed with LumaFusion. For a limited time there’s a 50% discount on the standard price, so you can get it for $19.99 (£14.00).